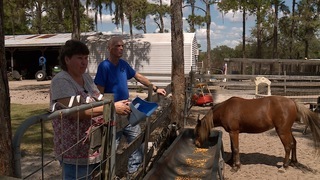 Tucked away from the city in Polk County is a slice of Florida country. 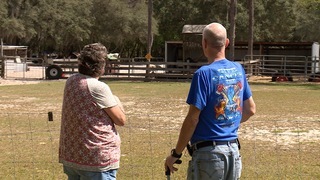 On this farm, the number of animals have grown over time. But time hasn't been so kind to it's creator, JJ Jablonsky. JJ is 54 years old and dying. "The [doctor] said you got 5 years that's it," he told us recently. That was nearly 5 years ago. 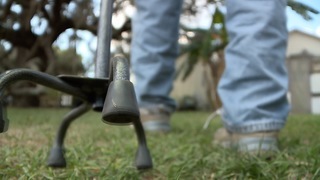 A career long firefighter, JJ was diagnosed with colon cancer in 2012. "It's like somebody dropped a dump truck on my head," he said. JJ beat it a little over a year later. "The oncologist told me I was cured." Until it came back with a vengeance. "The first words out of my mouth, how bad, is it," he said. "It was all over the place, probably twice as worse as the first time," JJ explained. The job he loved to death, JJ believes, is now taking him closer to death. "Without a doubt," he told us. Jablonsky retired after being promoted to Captain. "I've got maybe a few months to several months," he said. "Only the good lord above knows when it's going to be my time," JJ said. "I wake up every morning and reach out and he's still there and I thank god for that," said JJ's wife Deb, who is also his primary caretaker. It's no coincidence JJ and his wife wanted to share his story around the same time lawmakers are set to decide if firefighters with certain cancers should get added benefits. 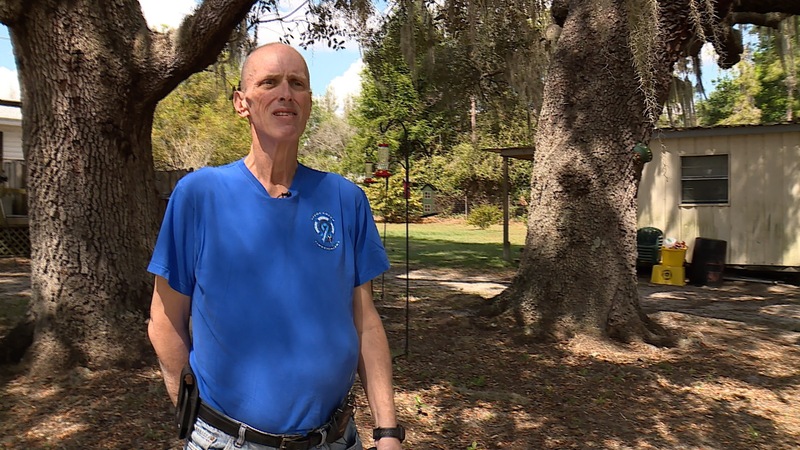 JJ says a cancer bill could have helped them cut various out-of-pocket costs associated with his cancer treatment, including travel costs when he went to the the Moffitt Cancer Center in Tampa. While a bill has been introduced in both the House HB 143 and Senate SB 158 the bills must pass a number of committees before it can be heard on the floor. Last year, the bill failed to garner enough support. This years bills have been revised and are more restrictive. See our previous coverage . Right now 37 other states have passed legislation that provide employment benefits to firefighters diagnosed with certain job related cancers. Some states also provide families of firefighters who have died of cancer death benefits. "What would I tell lawmakers? What are you waiting for? How many other firefighters? It's not fair," said Deb. JJ finished his bucket list last year. "We took at 3-week vacation. Saw a lot of family in the northeast. Pulled out all the stops." 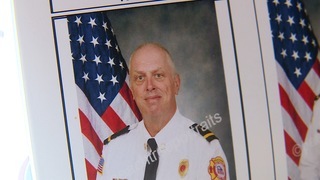 After nearly four decades on the job, he officially retired from the Polk County Fire and Rescue last month, about a week after being promoted to captain. "Now it's just seeing how things go," he said.